NEW DELHI, India, Feb. 12, 2019 /PRNewswire/ -- Artificial intelligence has been smart enough to recognize human voices. Even if people are simply humming a song, AI is capable of telling songs' names and judging whether the songs are correctly performed. Yet the voice-recognition technology has seldom been applied into entertainment industry in scale before music application Spotlite released its singing game named 'BATTLE'. In Spotlite app, BATTLE is an entertainment competition where every six online players would be automatically grouped together as competitors in a virtual room. The app would present them two lines of lyrics of a song. Players shall race to be the first one to click the 'GRAB' button on their phone screens to get the chance to sing the following two lines of this song. AI would judge whether the singer has sung correctly. The other five players are able to listen to the singer and leave comments. On top of the BATTLE game, fundamentally Spotlite is a singing tool that enables users to sing their own original music or choose from a large catalogue of songs to sing. People could record songs in both audio and video formats, or do live sessions in the app. Plus, the whole song pool of Spotlite is always free to all users. Different from other online singing tools, Spotlite is a direct-to-fan app that encourages ordinary music lovers to build their own fan base and monetize their talent. The virtual gifts Spotliters receive in the app from their fans can be cashed out as real money. During their live shows, many Spotliters not only sing, but introduce and sell economical, good-quality merchandise to their audiences. 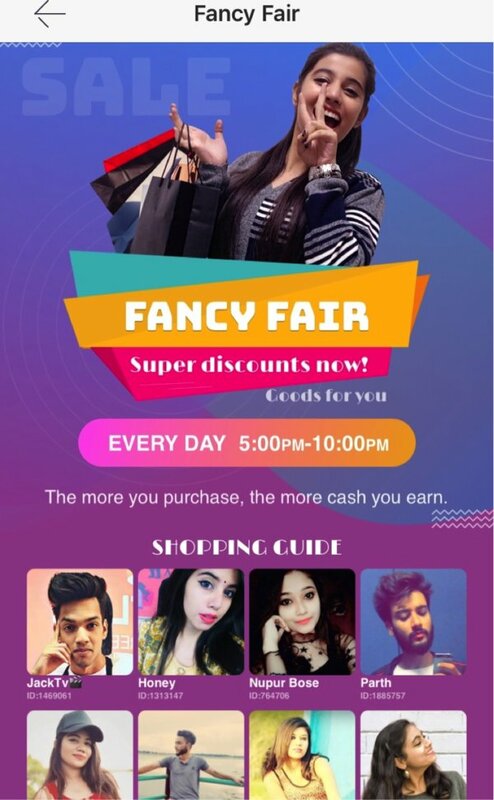 These live streamers are not staff of Spotlite, but the app is more than happy to serve as a part-time e-commerce platform for both buyers and sellers. Spotlite has attracted five million users in India. It is hoping to serve even more music lovers in the country.